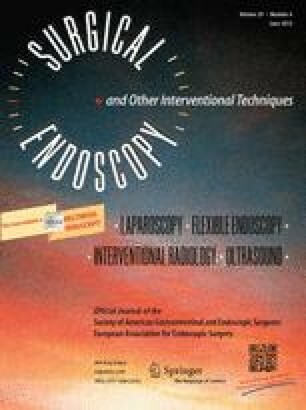 Quality of D2 lymphadenectomy for advanced gastric cancer: is laparoscopic-assisted distal gastrectomy as effective as open distal gastrectomy? To determine by meta-analysis, whether D2 lymphadenectomy at laparoscopic-assisted distal gastrectomy (LADG) is as effective as that during open distal gastrectomy (ODG) for patients with advanced gastric cancer (AGC). All clinical trials that compared laparoscopic with open D2 lymphadenectomy for AGC published in English from January 1995 to June 2013 were identified in PubMed, Embase, Web of Science, and Cochrane library searches. A modified scale was used to assess the quality of the literature. We analyzed the number of harvested lymph nodes (HLNs), body mass index (BMI), tumor size, serosa invasion status, and positive lymph node rate. Meta-analyses were performed using weighted mean differences (WMD) for continuous variables, and risk differences (RD) or odds ratios (OR) for dichotomous variables. No eligible randomized trials were identified, but eight non-randomized trials were analyzed. In the pooled data of 677 patients who underwent LADG and 687 ODG, there were no significant differences the number of HLN (WMD: −0.98, 95 % confidence interval, CI −3.21 to 1.26), BMI (WMD: −1.20, 95 % CI −2.64 to 0.24), tumor size (WMD: −0.30, 95 % CI −0.65 to 0.05), serosa invasion status (RD: 0.04, 95 % CI −0.03 to 0.11), and positive lymph node rate (OR: 0.66, 95 % CI −0.44 to 1.01) between the groups. Our findings suggest that for patients with comparable BMI and tumor status, surgical technique did not significantly influence the number of HLNs, suggesting that D2 lymphadenectomy performed laparoscopically is as effective as an open procedure in AGC. Canrong Lu and Sixin Zhou contributed equally to this work. Drs. Canrong Lu, Sixin Zhou, Zheng Peng and Lin Chen have no conflict of interest or financial ties to disclose.